Cube Entertainment's upcoming girl group (G)I-DLE is coming with their debut mini album 'I AM', containing a total of 6 fierce tracks! 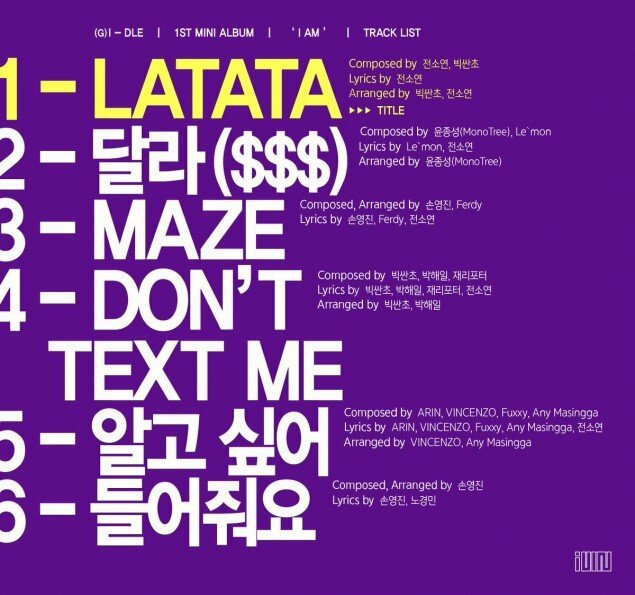 Headed by well-known female idol rapper Jeon So Yeon, (G)I-DLE's debut title track will be "LATATA". 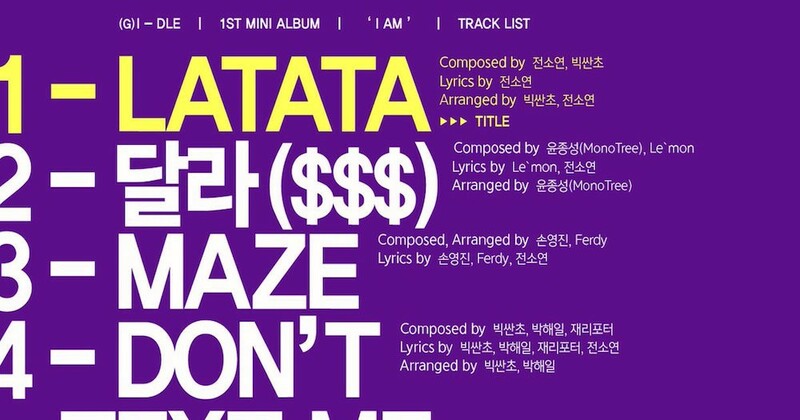 Jeon So Yeon not only participated in composing and writing the lyrics for "LATATA", but also for various other tracks in (G)I-DLE's debut mini album. The girls' anticipated debut is less than a week away, on May 2 at 6PM KST!